The Jennings were offered a way out in a surprising finale both in what was there and what wasn't. 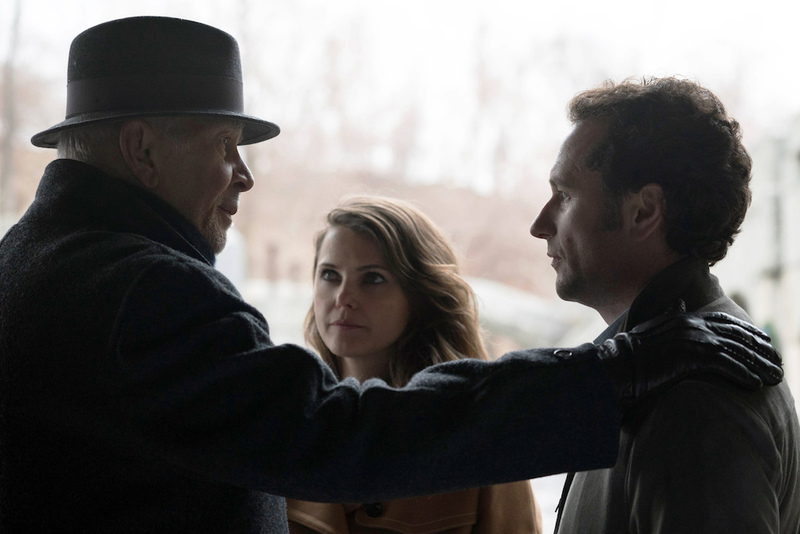 Another season of “The Americans” ends not with a bang, but a stern warning from Dad. 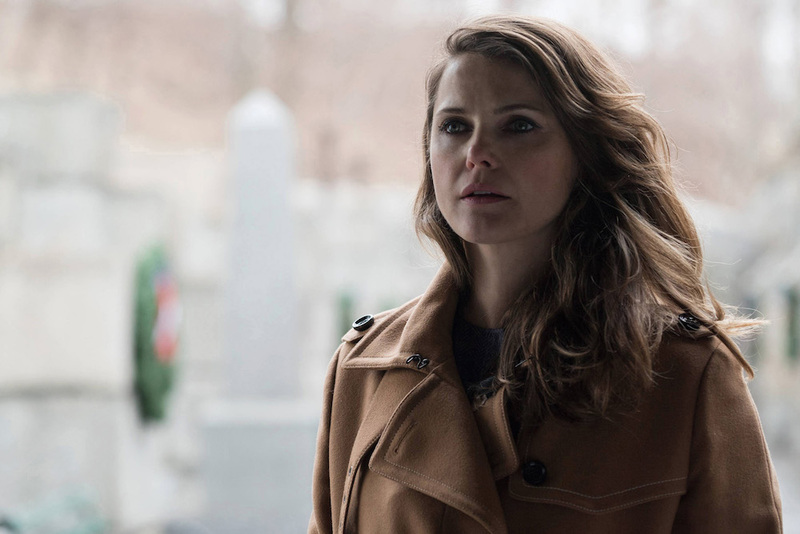 The Season 3 finale caught some atypical flack for focusing on Paige’s confession, and showrunners Joe Weisberg and Joel Fields doubled down on the decision by concluding a wild Season 4 with an even more enigmatic kicker. The parallels between Phillip’s restrained anger over Paige’s first make-out session and any father’s indignation toward his daughter’s lost innocence were right on the mark, lending even more authenticity to a series focused on family first. Yet his hypocritical nature wasn’t lost on Paige, as just a day earlier Phillip was telling her to do whatever she wants with Michael, as long as she was the one wanting it. Now, with the spy game more dangerous than ever, Phillip can no longer tolerate the risk of his truthful daughter getting close with an FBI agent’s son. The Jennings house is about to tighten up, as is Paige’s loose leash. The biggest tease of the final hour, though, was left unfulfilled. Gabriel told his agents they should return to Russia, effectively ending their mission, their lives and, possibly, the show. Considering the recent renewal for Seasons 5 & 6, that seems unlikely to happen, but why and how they decide what to do next remains unknown. The slow burn continues, and it will be an agonizing nine months until we find out the full weight of Phillip’s frustrations. Phillip, who was arguably more prominently featured than his counterpart in Season 4, got the spotlight yet again in the finale. First, we met his rebellious Russian son, who’s now on a mission to meet his father. Mischka seems like he could nudge Phillip over the edge, given the kid’s anti-government tendencies, and especially after the EST meeting so perfectly framed his papa’s psychological state. Gabriel’s line later summed it up more bluntly — “Your heart hasn’t been in this for a long time.” — but Phillip’s mental state was made clear far before his handler gave him a way out. So, as giddy as he probably was when offered a shot at early retirement (you know, on the inside), the question for Phillip and Elizabeth is what was briefly alluded to in their bedroom. Trying to picture a happy Paige and Henry living in Russia isn’t easy, and weighing the risk of uprooting their lives with a move versus that of maintaining the status quo is what we’ll all dwell on this offseason. It’s fight or flight, and — given Phillip’s implication the family will stick around long enough for Paige to see Matthew again — he’s leaning fight. Why? Because he’s an American, and he doesn’t want to leave. Elizabeth, meanwhile, seems ready to go. She’s been opening up to Paige about her home country after taking her daughter to meet her grandmother last season, and this week found her wondering what Smolensk is like now. “It could be totally different,” she said, before Phillip countered that it probably hadn’t changed all that much. The point being, returning to Russia excites Elizabeth. She may have started to question her mission in recent weeks (poor Young Hee), but she’s never doubted her citizenship. Mother Russia remains her parent, and it would seem like having Paige and Henry there, safely, would be a logical next step. That being said, such a choice would force a flip in the Jennings’ relationship dynamic. Elizabeth would be the one pushing toward safety in retirement — family first, if you will — while Phillip would be the one pushing to move forward with their mission, since he couldn’t stay in America otherwise. While that would be an exciting transition to watch, it doesn’t sound right, does it? As noted earlier in the season, these two are closer than they think, so whatever they decide may not create any fractures in our happy (if worried) couple. And in that lies her true motivations. This is far from a “Romeo & Juliet” situation (though seeing Phillip and Stan as Capulet and Montague is fitting). Matthew and Paige aren’t madly in love. She’ll want to stay because it’s her home, she’s an American and, more specifically, she’s ready to learn how to protect herself. She asked her mother to teach her a few defense maneuvers early in the episode, indicating a willingness to accept, at least, what her parents are into. Moreover, Paige is a fighter, and she’s only going to get stronger. For a moment, William’s final words had us worried. His envy of the Jennings, had it gone further, could have tipped off their next door neighbor, or at least raised his suspicions. And considering Stan’s astonishment regarding Martha’s recruitment — “They seduced and married my secretary,” as Gaad so wonderfully put it — he could start looking at people differently come Season 5… including the perfect couple next door. Yet when he saw Phillip later that night, not for a second did any alarms go off. Perhaps seeing his son making out with the neighbors’ daughter proved distracting enough to delay a more suspicious thought process. (Stan was giddy about holding their wedding in his backyard.) Or Stan just needs one more push before he can see what’s been in front of him all along. Phillip’s disguise was not good enough to avoid detection from a familiar face like Stan, so it’s a good thing no one saw him in the park. Still, it was nice to see the dark hair and mustache one more time. It’s a good look for the dark-haired gentleman, and one we hope returns for Season 5. 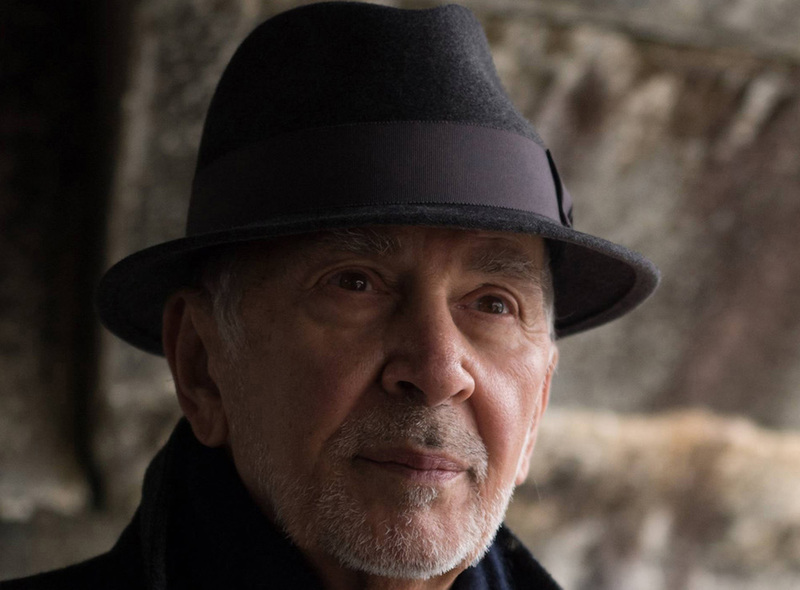 Gabriel — and Frank Langella — had quite a year, and never was the character’s transition clearer than when he suggested his agents ditch the game for early retirement. His worldview has changed, and it happened when he had that talk with Claudia (Margo Martindale) back before the seven-month time jump. Yet what’s truly terrifying about this positive progression is if Elizabeth and Phillip ignore him, as they seem ready to do. William would attest to the words above (if he could have survived long enough to hear them), but his case — assuming they learn more about what happened to him — should prove why they’re no longer safe in the U.S. They’ve been doing this a long time. The FBI may be a step behind, but the pieces can come together quickly with just one slip-up. The mail robot. The woman guarding it. The assumed identities of dead men. The bug in Gaad’s office. These aren’t even mistakes so much as consequences of the mission, which only makes it all the more vital Elizabeth and Phillip protect their family. And for as much as I love Henry, it’s all going to come down to Paige. Restricting her, as Phillip alludes to doing forthwith, runs a risk for the family. They’ve tried to be open and honest with her, but if they lay down the law and keep her from doing what she wants to do — rather than asking her to do more, as was the case with Pastor Tim — Paige could jump ship. She could tell Matthew what he can’t know, or she could resent her parents so much that eventually the truth comes out. Paige is the lynchpin, as we’ve known all season, but seeing this ending only re-emphasized the hazards to come. Save Paige. Save the family.